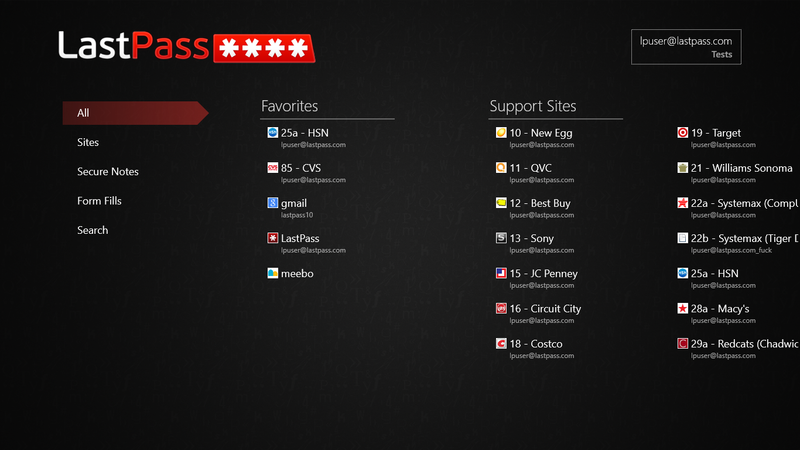 An update to the LastPass Windows 8 app is now available on the Windows Store, with increased functionality and a number of great improvements. 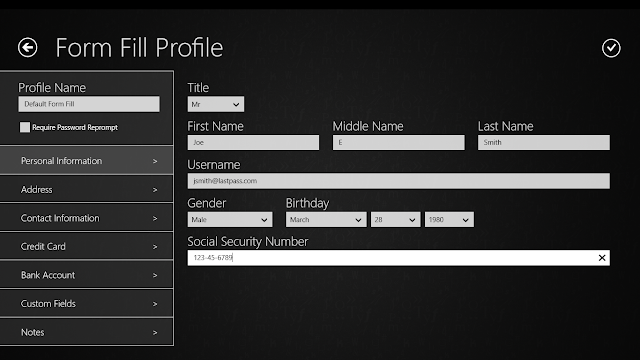 Form Fill profiles are now supported, so you can fill shipping and billing forms in a few easy clicks. 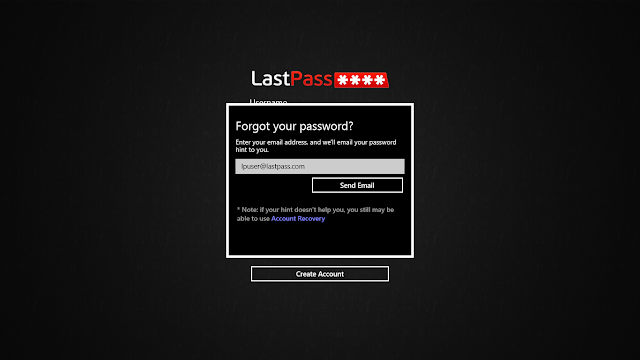 Identities are now supported, so if you prefer to keep your work and personal data separate, or share the same account with someone, you'll be able to easily toggle between sets of data in the LastPass app. Account recovery is now supported using the locally-stored, encrypted OTP. The "forgot password" email can be sent directly from the app. Improvements to the user interface, with an even slicker look and feel.